Do you call it Fall or Autumn? 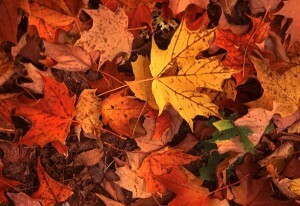 I never say Autumn but I like how it’s spelled. Either way, it’s one of my most favorite times of year. The only bad thing about Fall is that it means Winter is just a little bit closer. But, except for the snow/ice hazards and the extremely bitter cold days, I have learned to appreciate that season more as well. But let’s not jump the gun. I’m here to talk about Fall because it’s what’s almost here! I started this post about a month ago when we had a break in our seriously hot weather. But then it got hot again and didn’t feel like the right time to be talking about Fall just yet. Even though it was 94 yesterday, it seems that the cooler weather is just about here to stay and it is almost October so I did not want to delay any further! I’ve also been thinking about Fall a lot because I work on a college campus and once the semester finally started, the students came rolling in and the restaurants and coffee shops went back to their normal hours (read: later than 2 p.m. and places that have been closed all Summer are finally open!) and there will be other exciting events going on here between now and the Christmas break. Most days, the mornings have been on the cool side, cool enough as my friend Carrie said “to have a cup of hot tea in the mornings again!” She’s right about that. It’s also been darker in the mornings when I go out to walk Suzie and it’s been getting darker earlier at night. As much as I do love my daylight, it’s sort of cozy when it gets dark early and that makes me want to go to bed earlier, which is a good thing for me. I have been feeling inspired 🙂 Change is good. Seriously, as soon as I see this stuff, I’m stocking up again! It’s been too long! I like to bake with it, put it in my oatmeal, make soup with it, pumpkin dip with ginger snaps, you name it. I’m also excited about pumpkin spice tea and pumpkin flavored coffee (not the syrup but the actual coffee flavor) and anything else coffee shops, cafes or companies come up with to entice me into trying something. If it says pumpkin on it, I will probably at least give it a second look. 2. Art fairs, charity walks, outdoor events, etc. Such as the St. James Court Art Show! St. James is the event that really kicks off the Fall for me and it’s just a little over 2 weeks away. It also has the most unpredictable weather! I believe this picture is from two years ago, while last year we were in shorts! You just never know 😉 But I’m kind of hoping for a chilly morning this year, just not too cold! While I haven’t decided to run any races this Fall (yet), I am going to be supporting my friends Farrah (pictured above on right) and Chloe in the Louisville Marathon on October 16th! I know it sounds corny but it’s long been a dream of mine to be on the sidelines cheering for someone else 🙂 This will be the first marathon for both of them and I can’t wait to see them cross that finish line! 3. 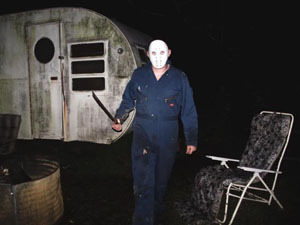 Haunted Houses and horrors! I don’t scare easily but I do tend to jump at loud noises! My husband and I love the Halloween season. Soon we’ll be busting out our collection of horror movies and lining up on a Friday night to go through some scary forest, hotel or whatever attraction we choose to visit this year. We are also big fans of the Danger Run, even though we usually end up arguing and get lost at some point. All in good fun! Never in my life did I think I would include this on a list of my favorite things about Fall. 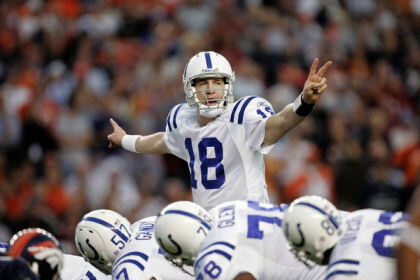 But the truth is, I do enjoy watching some football. It gets overwhelming when there are several games on in a week or when my husband is in the basement yelling at a particular team and I can hear him two floors up. He’s not the only one who does this, but I just don’t like it when people get so mad about a game that they say terrible things to a team they claim to be a fan of and they just plain ruin my good time! But most of the time, it’s enjoyable to root for your favorite teams while spending time with family and friends over some chips and salsa. We used to host Monday Night Football at our house every year but since we just moved and aren’t quite unpacked and my husband’s work schedule is a bit unforgiving (he wakes up at 4 a.m.!) we have decided not to do it this year. I kind of miss it already but hopefully we can get some people together for a game sometime this season! What are you looking forward to this Fall? Anything not on this list that I should check out? 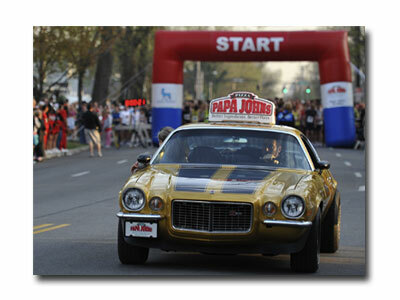 Last Saturday was the Papa John’s 10-miler! 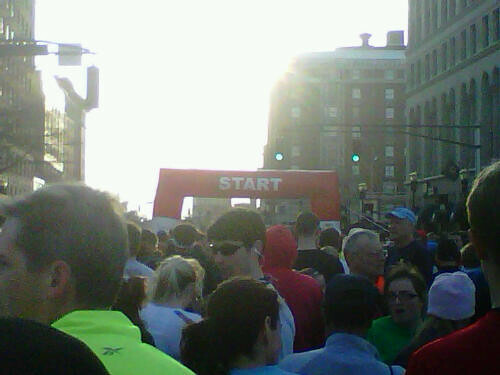 I was really looking forward to this race, even after a disappointing finish in the Rodes City Run 10k two weeks prior. And I knew this race would help me get ready for the mini-Marathon a month later. Thursday came, I got worse. I felt so bad Friday that I didn’t go to work. I debated all day and night about whether or not to run the next day but Friday night, as I laid on the couch feeling like death, I finally texted my friend Farrah and told her “I can’t make it.” It was hard for me to do that but I knew it was the best thing for me. The thought of running 10 miles in the cold, not being able to breath and not having much energy sounded like torture to me. I was really bummed Friday night but by Saturday afternoon, I was happy with my decision. Sometimes you just have to know when to say no. Sunday I felt my absolute worst and finally on Monday I went to the doctor — sinus infection! I ended up taking a complete week off from running and other exercise. 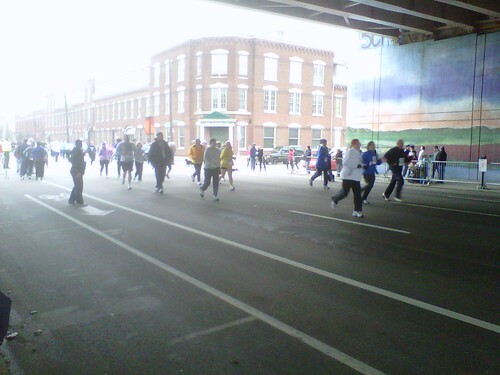 Now that I am feeling better, I am really excited about the Derby Festival mini-Marathon on April 30th. I’m glad I have 29 more days to get ready! It took me a while to write about this race because I really had to process my feelings about it. Before the race, I was feeling pretty confident but then I think I fell into that trap of “oh, I can so beat my time on this” or at least match what I have done in the past. However, I did not run this race last year and it is more difficult than I remembered or gave it credit for. Not to mention for the two weeks prior to the race, I had not consistently ran enough to be ready for it. So with that in mind, I’m happy that I finished. Yes, it was my worst 10k time to date, but hey…I ran a 10k! I need to take pride in that alone. It’s way too easy to fall into those traps of negative thinking. I’m glad I pulled myself out! When the race started, the weather was mild but windy and the sun was shining. 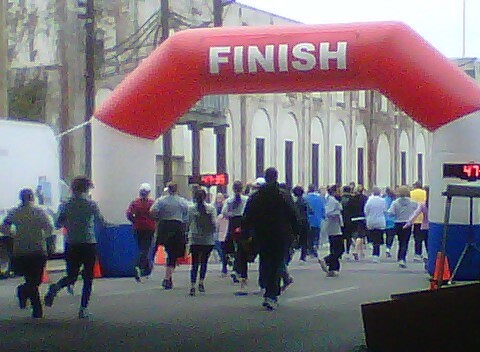 There were a ton of people at this race, but probably not as much as the Anthem 5k. I lost my friends almost as soon as we started because they run faster than me and I refuse to push myself that hard at the beginning of a 6 mile race. My stomach wasn’t too happy with me at the beginning but it got better as the race went on. 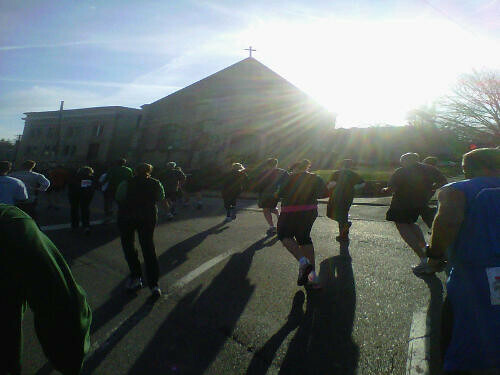 My favorite part of this race is always running past the church where I got married, almost 6 years ago! Then we made that turn and started what I find to be the hardest part of the race. That slow, steady incline coming up Grinstead Drive around Cave Hill Cemetery. Oh my Lord. No matter how long I’ve been running or how much I’ve trained, I am never prepared for inclines or hills. They just take so much out of me. But I kept it slow and steady and managed not to stop. Once we got to miles 4 and 5, I was feeling pretty good and knew that even though I would not match my previous 10k times for this course, that I would still finish about where I wanted to. But then, that last 1.2 miles felt like an eternity. I started getting frustrated and my legs were starting to hurt. We took our usual starting place, right in the middle of the crowd! Saturday morning it was cold. This race is always cold. I think in 2008 it might’ve been in the 40’s, but I’m pretty sure every year since then we’ve been near freezing at the start. And even though I am the self proclaimed “Queen of Layering” I could’ve used a bit more on the legs and feet. They were pretty numb for the first half mile! Before I knew it…I could see the finish line! 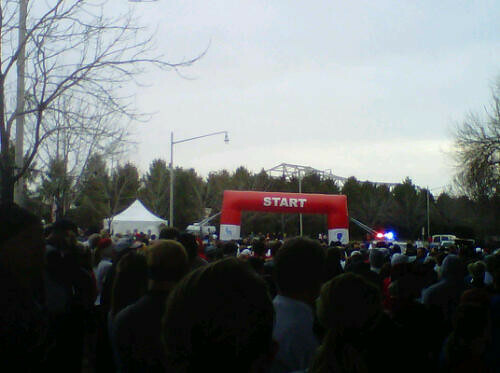 I finished the Anthem 5k in 30 minutes, 40 seconds. I did not have a blog when I completed this race in 2008, but this is the EXACT same time I finished in that year as well. So now of course, I have had “Feels like the first time…” in my head ever since. I will admit it. I teared up a bit when I finished. It doesn’t matter how long you’ve been running, how many races you’ve ran (or walked! ), the distances you’ve covered…there is just something special about completing a race. Any race. In any time. It made me think of a post I read on The Anti-Jared, where he commented on a post written by a runner who thought that someone having a “3.1” sticker was silly. Every race is a BIG deal. In two weeks, I will run a 10k, then two weeks after that a 10-miler. Then a month later, a half marathon. But this 5k is still very special to me and I am freaking proud of it. Hi friends! Holy heck, where has the time gone? I still have a few race recaps to share with you that I participated in this past Fall and Winter, but a more pressing topic is that Spring racing season has arrived! This Saturday, I will be running in my 4th consecutive Anthem 5k, which holds a very special place in my heart…it was my first race ever. I had just starting running in September of 2007 and built myself up to 30 minutes, then gradually started working on distance. 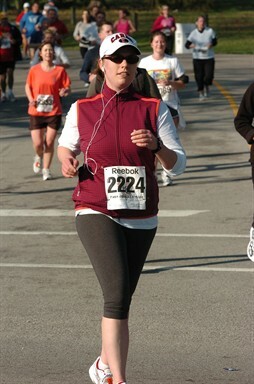 In early March of 2008, I crossed my very first finish line as a runner. It was probably one of the proudest moments of my life, the first of many. It helped me fall in love with racing. But this year, I feel like a seasoned veteran and there is a good feeling that comes with that too. I am not anxious or worried about anything. I’m ready for any weather, any crowd (heard there are over 9,000 registered so far! ), I already know where the bathrooms are, etc. 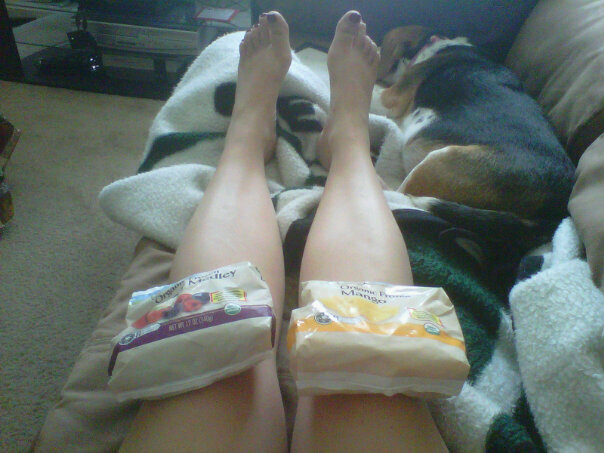 Now I am just ready to go have fun running 3.1 miles. The Anthem 5k is also exciting because it kicks off the Louisville Triple Crown of Running, which is three races: the 5k, the 10k and the 10-miler. This will also be my 4th consecutive 10-miler, but only my third 10k, as I missed that race last year when I was out of town. What are your racing plans for the Spring? Please share! Sorry there hasn’t been a post here in a couple of weeks. I promise I have some really good things in the works and plan on posting something food-related this week! But in the mean time, I thought I’d let you in on some news, just incase you don’t follow my other blog, River City Fitness. After being on-again, off-again with running so much over the past two years (ever since I finished my first half marathon in April 2008), I finally feel like I’m back in the proper shape and frame of mind to be a consistent runner again. This summer, I really got into walking again and enjoyed that immensely. I also did Body Pump pretty regularly. Farrah and I also ran a few short races just to say motivated. But as the summer drew to a close (even though the weather hadn’t yet) I was ready to move on to a new goal. I needed a new challenge. I was encouraged by the 15k that I ran most of when I didn’t think I had it in me. Farrah, my friend and trainer/training partner, put together a running schedule that will take us from October 2010 through April 2011 (when all the big races happen around here). It was a little slow going at first, but now that I don’t worry about speed or beating any old PR’s (yet), I am really enjoying running again. I don’t beat myself up if I have to switch a day, or shave a mile off one day and add it to another. I am making this work for ME. In the month of October, I ran 78 miles! Just a few months ago, I never would’ve thought this was possible. Especially not when you consider 13.1 of those miles was the Louisville Half Marathon which we ran just two weeks into our training (recap coming soon). We had signed up for this race months ago and didn’t expect it would go as well as it did. I finished in 2:30 and wasn’t even sore! I dare say it was…easy. So, what’s different now? Why is running coming so easily (again) to me now than it has the past two years? I don’t worry about time. In fact, during races, I don’t even wear a watch. I embrace the beauty that is walking breaks. It actually helps my endurance and makes me run faster. I realize what a mental game it is. Sometimes your mind is your worst enemy. I talk to myself more during runs now (and I pray)! I’m not trying to get better, I’m good enough already. I have read so many blog posts and articles lately about people who run even though they hate it. I guess they want the challenge or to lose weight or something. But I’m here to tell you, if I hated running, there is NO WAY that I would do it. I think that is just counter-productive. Why do something you hate? Not every run is great, that is for sure, but overall I love to run and I love the way that running makes me feel — good. That is why I do it. I also would not run regularly if my body was not in agreement. I have been very blessed to have never been injured as a runner and for the past month, the only time I have felt really sore was after a strength training session! If your body is trying to tell you something, listen to it. Don’t force yourself to run if it hurts. Now I am looking forward to keeping up with running during the colder months (if they ever get here) and then venturing into some races next Spring. 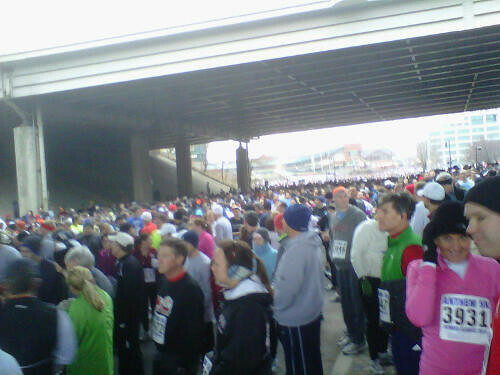 I haven’t yet decided if I will do the Kentucky Derby Festival mini or full marathon just yet. But a marathon is becoming more of a possibility these days. So we’ll see. You can follow my journey over at River City Fitness and keep up with my runs over at Daily Mile if you are so inclined. Thanks for the support! Sometime in September 2007, I decided that I wanted to run. I had never really ran before, in fact I did my best to avoid it for most of my life. Even while playing sports in high school, I would pretend to have a cramp during practice so I could walk or fake an asthma-like attack, which I am so ashamed to admit. But that’s the mentality I had back then, when I was unhealthy. 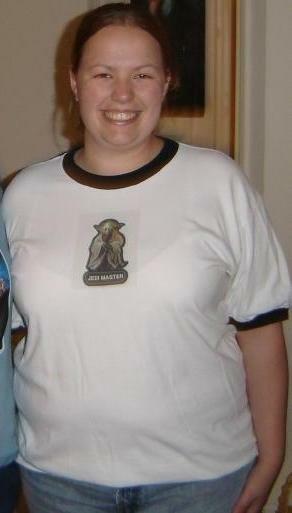 In early 2007, when I started my life over and became healthier, everything changed. I no longer wanted to get out of stuff. I wanted to conquer the world. Running had always been that thing I knew I “couldn’t” do and I wanted to prove myself wrong. In September, I started a 10 week running program to “learn” how to run with my friend Candy. We would meet at my house or a local park and go through the intervals, starting with 2 minutes of running/4 minutes walking, repeat. We all have to start somewhere. I worked my way up each week, increasing my running time and decreasing my walking time until I could run 30 minutes straight. This program really worked for me. After that, I started focusing on mileage and followed a 16-week training program for the half marathon, including my first 5k, 10k and 10-mile races! When I cross the finish line of each race, I am reminded of where I have come from and it overwhelms me. When I get down on myself, thinking I’m not training hard enough or running fast enough, I try to remember those times I faked an asthma attack or injury to get out of it. You can read more of my running story here, but I just wanted to take the time to remind you all that if there is something you want to do, go for it. Don’t think you can’t do it just because you never have before or because you had a bad attitude about it in the past.